This popped on my menu post a little while back and a lot of you asked for the recipe. I’m sorry to say that I have exactly zero good pictures of the chicken and no step by step photos either. So this is not going to win any Best Recipe Blog Post of the Year awards, but it will at least allow you to make this chicken! But this recipe looked like it would solve both of those problems in that the chicken cooks entirely in the oven, and you only need a half cup of oil for 3 pounds of chicken pieces. So I tried it, and it was very good! Not quite exactly like real fried chicken, but waaaay closer to the real thing than any other oven “fried” chicken recipe I’ve tried. I think a key is that when you make the breading mixture, you add a little water and rub it into the flour with your fingers, creating some shaggy pieces that mimic the breading on real fried chicken. So genius! You will need a 12-inch cast iron skillet for this recipe; I wouldn’t try it with a lesser skillet. 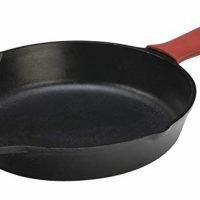 Mine is from Aldi, but you can get a Lodge skillet for less than $30 on Amazon and they have some even cheaper options as well. 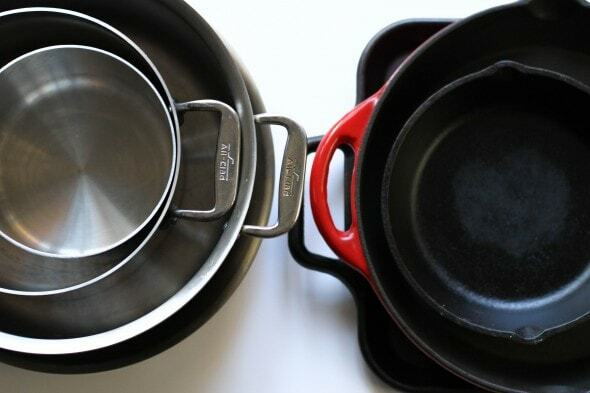 Cast iron is ridiculously affordable. Anyhow! Here’s the recipe. I followed it pretty exactly, except I salted my chicken pieces a few hours ahead of time. Salting meat prior to cooking improves it pretty much 100% of the time, but if you don’t have time to do that, I think your chicken will still be tasty. 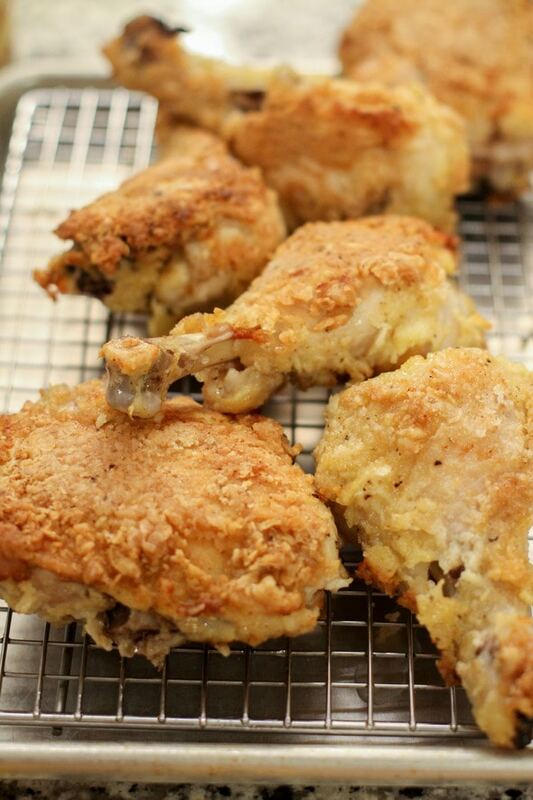 This faux fried chicken cooks entirely in the oven, with only 1/2 cup oil! Place 12-inch cast iron skillet in oven on middle rack and heat oven to 450? F.
Place wire rack in rimmed baking sheet; line half with paper towels. Beat eggs and 1 teaspoon salt together. Dip chicken, one piece at a time, in egg mixture (allow excess to drip off), then dredge in flour mixture, pressing to adhere flour mixture to chicken. Place coated pieces on a plate, skin side up. When oven is fully preheated, removed skillet from oven (careful, the handle is hot!). Add oil to skillet, then immediately add chicken, skin side down. Return pan to oven and bake 15 minutes. Remove skillet from oven; flip chicken, return and bake for 15 minutes, or until breasts read 160?F and drumsticks/thighs read 175?F. Place chicken pieces, skin side up, on paper-towel-lined portion of wire rack, then move chicken to the unlined side. Let cool for 10 minutes before serving. Pre-Seasoned Cast Iron Skillet with Red Silicone Hot Handle Holder. This card contains affiliate links. That sure sounds less greasy to clean up, but I have to admit I hate dipping chicken in egg then flour — that’s so messy to me, too! When I fry chicken, I just flour and season it by shaking it all in a bag then toss the bag. Still, I suppose it beats grease popping everywhere. I just might try this, using cassava and maybe tapioca flour, since I’m avoiding wheat most of the time. I do love some fried (or “fried”) chicken! I bought my 12″ cast iron pan at a yard sale, and have loved it ever since! Same here- just dip in seasoned flour or shake in bag. I have always fried in just a little oil and then baked in the oven and always get crispy chicken. If I have buttermilk, I will soak the chicken in it before shaking or dipping. Thank you Kristen! 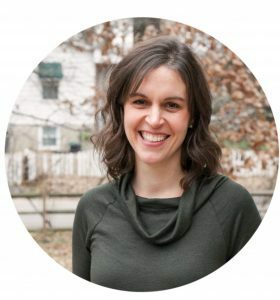 IMHO, a fried chicken recipe without a mess to clean up, and a non smelly home from all that frying wins the prize for the Best Recipe Blog Post of the Year awards. I’m wondering if this can be made on a cookie sheet though? And, if I can make it w/o using baking powder? Did you have a lot of flour mixture left after you were done making these? I’m trying to avoid food waste. I didn’t have a whole lot of flour mixture left, no. I have no idea if it can be made without baking powder! I only tried it with. A cookie sheet would definitely not work as well because then you have no hot oil to put the chicken in. What makes this taste like fried chicken is the hot oil, and that’s what helps make the coating crispy too. I totally agree about the frying smell; I hate that it hangs around for so long! The baking powder is important to dry out the skin and get it crispy! Help me out, please. My family prefers white meat and I�m dying to try this. I can�t figure out what bone-in split chicken breasts, �cut in half crosswise� means. I got the bone-in breast part. Are we splitting the breast horizontally like a fillet, so there is a boneless part, or do we cut through the bones vertically at some point? I guess this is to make smaller more even pieces. 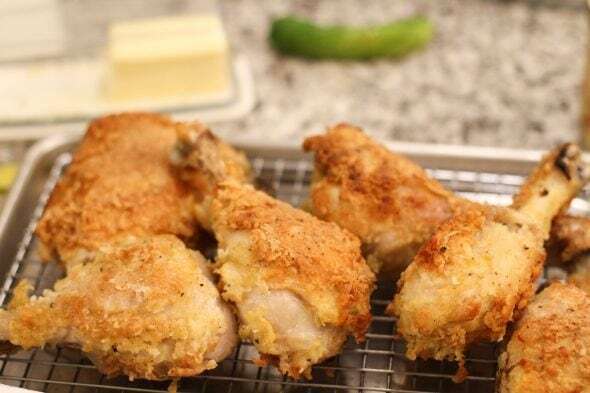 We love fried chicken, but i don�t cook it because of the mess, smell, and unhealthily fat content. Thanks from Georgia! Yes, you’ll cut right through the bone the short way across, not the long way. So you’ll have two rather squat pieces of chicken rather than long pieces, if that makes sense! The chicken looks AMAZING! It reminds me of KFC, but I’m sure yours tastes so much better. Thanks for sharing the recipe!